It has been a while since I did a sketch based on a photo in pen with no pencil work first. So it is probably time to give it a go. It is only right that I use the 0.18 rotring rapidograph I finally replaced for it too. 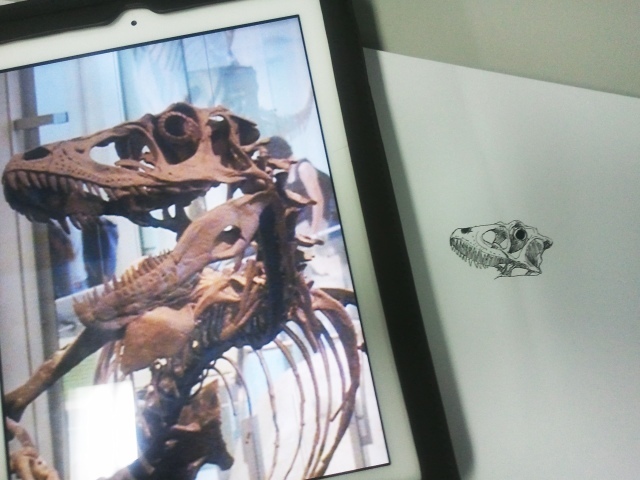 This entry was posted in Quick Desksketch and tagged dinosaurs, extinct, skeleton by Anthony. Bookmark the permalink.